The Ariston Café is believed to be the oldest continuously operated restaurant on Route 66. In 1992 the Ariston Cafe and the Adam family were inducted into the Route 66 Hall of Fame. Since 2006, we’ve been on the U.S. National Register of Historic Places. 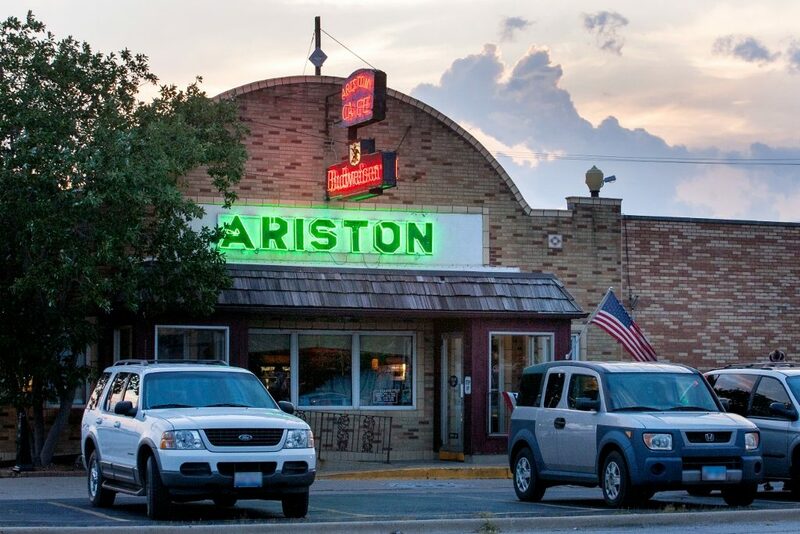 The Ariston Cafe was founded by Pete Adam, a Greek immigrant, in Carlinville, IL in 1924. The original cafe was located on Route 4, the predecessor of Historic Route 66. In 1929, the Cafe was relocated to Litchfield, IL and moved into its present location in 1935, where it has remained ever since.